The explorers don’t like to settle in one place. Their mind always craves for exploring more and RV is the best choice for them. Roaming around with a car with full accommodation facility is something incomparable for the travel-fanatics. If you are one of those who is planning to take an RV and start visiting the places in the U.S., here is a list of some sorted out places worth exploring once. The Monkey Island RV Park is located in a distance of some yards from the beautiful Grand Lane O’ in the Northeast part of Oklahoma. Grand Lake OK RV resorts facilitate the lodging and food for the guests. The park allows the visitors with RV to park it, use the venue to enjoy the natural beauty of the island and the lake. People with a normal car can also enjoy the place for the resorts. Luxurious living with all possible facilities is provided to the boarders. It is based at Florida. With 16 beach facing RV sites and resorts, this place is best for an outing with your family. The main natural attraction is the Gulf of Mexico. If you want to have a wild night-out amidst nature, you are welcome to the historic Key West. The raucous nightlife of the Duval Street and the stomping ground of Harry Truman and Papa Hemingway, you should pay a visit to this place. Based at Oregon, the Crater Lake RV Park is one of the most favorite RV spots because of the collapsed volcano. This is the RV Park closest to the lake camping site that is a 40 minutes driveway. The forest life and its beauty and shade make the place attractive to the tourists. The location of center Big Sur Valley makes the place one of the best tourist spots. It is also attractive for the hikers for the Pfeiffer Big Sur State Park over there. A three-mile drive and that’s it. The waterside is a fun outing location for everyone. Your thirst for nature will not be satisfied here. Located in Nevada, this resort is a few minutes distant from the legendary strip. Want to get the vibe of Vegas, the Sin City? This resort is waiting for you. This is an RV accessible campground in Yosemite in California. You have to be a little organized to start camping here because it is just the bang opposite than the above-mentioned one. No plumbing system or sewer hookups you are going to get here. Store the food and enjoy the solemnity of nature and all of it. A combination of town and water bodies is what you are going to find in this location. This is the best spot for family camping experiences. This is the only island of Texas that is packed with activities. Surfing, fishing, snorkeling will keep you busy throughout the day. Enjoy the nightlife and involve yourself in plenty of shopping. There are three camping options for Acadia. You can enjoy the lustrous view of Atlantic Coast after a short walk from the Seawall Campground. On the other hand, the Blackwood Campground open the side of shops to satisfy your shopaholic nature. And the last one, it is a quitter and unorthodox place to visit. It consists of three campgrounds, Riley Creek, Teklanika River and the Savage River. The spectacular natural beauty and wildlife will keep you engaged and calm your mind. Decide, which one you want to go first for an RV experience. 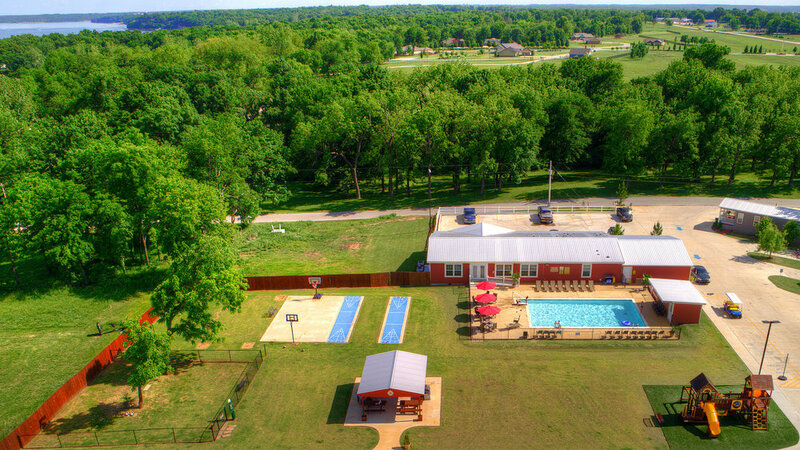 If you choose the first one, the Monkey Island and Grand Lake, you can contact Monkey Island, for the finest accommodation in and other facilities in Grand Lake OK RV resort to enjoy your camping with your family and the loved ones.